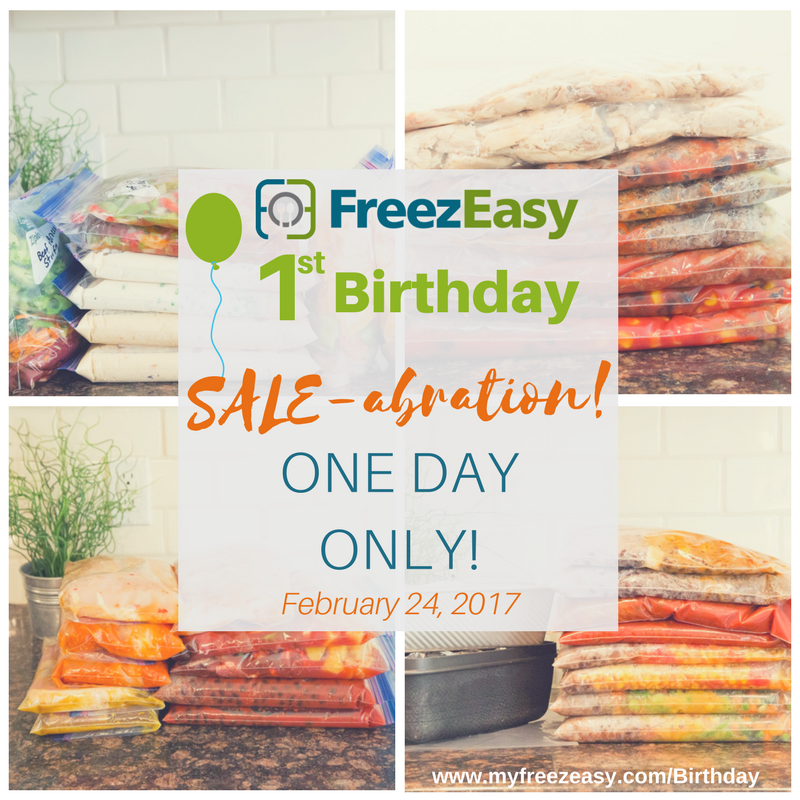 FreezEasy’s 1st Birthday SALE-abration! TODAY Only! We’re lowering the price on the MyFreezEasy membership…today only! In celebration of FreezEasy’s first birthday!!! 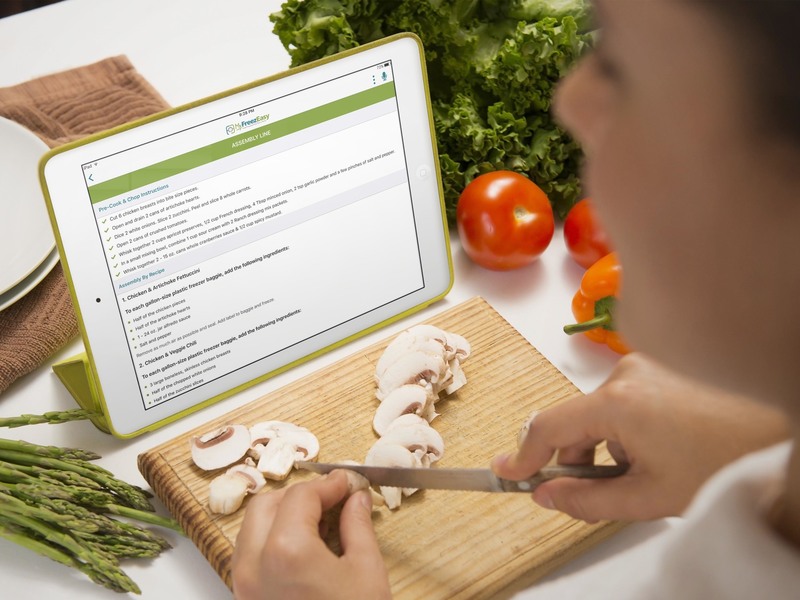 In the past year, we have shared hundreds of freezer friendly recipes, developed web and mobile apps that allow you to select your own set of recipes to make a freezer meal plan that’s perfect for your family. Why did we create these amazing tools and resources? 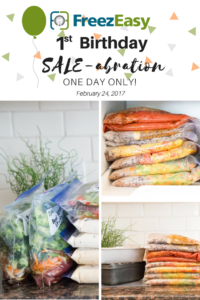 So I moved all of our freezer meals over to FreezEasy and the MyFreezEasy membership program. The membership is what gives you access to our amazingly simple tools (meal plan builder web and mobile apps! ), as well as an amazing and supportive community of like-minded and crazy busy home chefs! We have dropped the price of our annual membership, as well as our monthly membership. So if you’ve been thinking about joining, TODAY IS THE DAY. I’ve set up a super secret “Birthday SALE-abration” page for you. AND yes, you’ll lock in your membership price at this lower amount for the duration of your membership 🙂 Click/tap on that link or the image below…and get signed up!